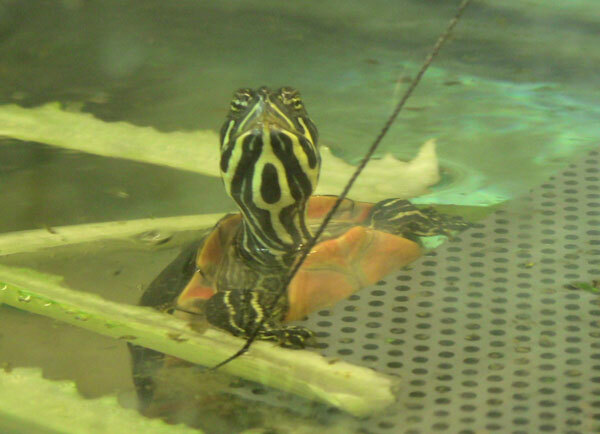 Remember the adorable red-bellied cooters that arrived at the Aquarium last fall? These guys are getting a head start on growing up, and they'll be released back into the wild later this spring. It's a way to boost this special population of the species here in Massachusetts. 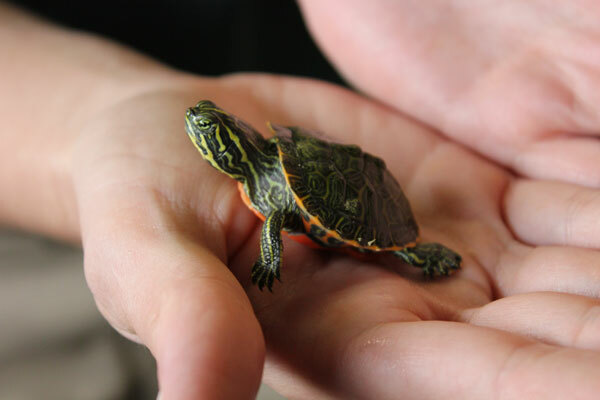 See more pictures and video of the coin-sized turtles here and here! Well, we thought you might like to see how they're doing now! Here's a short video of life in the turtle tank today. We caught the turtles just after lunch, with bits of lettuce swirling around the tank. As you can see, they've grown quite a bit.